Petrophysicists. Geologists, Operations Geologists, Structural Geologists, Geo-modellers, Reservoir Engineers, Well Test Engineers or Core Analysts who use or create petrophysical results for carbonate or “complex” reservoirs. Basic principles are reviewed; however a year’s experience in formation evaluation is desirable. Bring your laptop with MS Excel. This course presents the Complete Carbonate & Fracture Evaluation Recipe for carbonate reservoir characterisation, from Quick Look log analysis to full Core-Log-Test integration. The course presents a systematic plan of action for the acquisition and integration of carbonate petrophysical data, highlighting the problems and explaining solutions. All data is ranked and located correctly in the workflow, from drilling and LWD to well tests and the latest hi-tech logs. This recipe provides a definitive set of results and secure basis for decisions for the management of any complex reservoir. 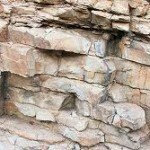 The course explains how the physical characteristics of Carbonates – tight, fractured, vuggy or permeable – present log analysis Failure Points. How to Drill, Core, Log, Test and evaluate specifically to address these failure points is explained via a condensed learning session of interleaved theory, PetroDB-WEB demos, workshops and videos. Drilling data, core, SCAL, logs, LithoScanner, NMR, Dielectric, Sigma, Acoustic, Image-logs and MDTs are all briefly explained and fitted together to form the definitive solution for any given data set. The course’s powerful Excel Petrophysical Toolbox includes all Workshops, a detailed Sw cap.press:n calibration, a vuggy Carbonate QL LAS evaluator, 100+ Eqns, PetroDB-WEB extracts, QL Sigma, HPV Sensitivities and calculators for Fracture Probability and Fracture Ø & HPV. This course provides a much needed systematic process for staff faced with the daunting prospect of managing Carbonate or other complex reservoirs. Non-petrophysicists will learn how to quickly review geo-model input using the author’s “Greenlists”. This process has been adopted and used successfully by a numerous operators. – Total porosity + Clays vs Total porosity + Pore geometry. What to do! – The Petrophysics to Geo-model checks which really matter! Is your permeability relevant? Dr Mark Deakin is a consultant, author and lecturer in Petrophysical Data Integration. He holds a Ph.D. in ‘Integrated Petrophysics’ from London’s Imperial College, is an ex Amoco petrophysicist, and has 25 years experience, including 12 as a lecturer and director of PETROPHYSICS Pty Ltd. He has performed over 50 detailed reservoir studies, primarily in Southeast Asia’s difficult carbonate and stacked ‘low-contrast-pay’ reservoirs, keeping abreast of new technologies by technical reading, operations work, attending short courses and lecturing. Deakin’s proven approach is to identify and rank reserves uncertainties then guide companies toward defensible reserves via a process of targeted data acquisition, data-hierarchy and systematic integration. After his PhD Deakin authored the first public Integrated Petrophysics course which has evolved into the industry benchmark course for mainstream petrophysics. Deakin also developed “Carbonates & Fracture Petrophysics – A Roadmap” and the powerful PetroDB-Vault core-log-test linked database evaluation for complex reservoirs. Deakin is a member of SPWLA with offices in Perth, Australia. PS: If you love petrophysics you will love this course!